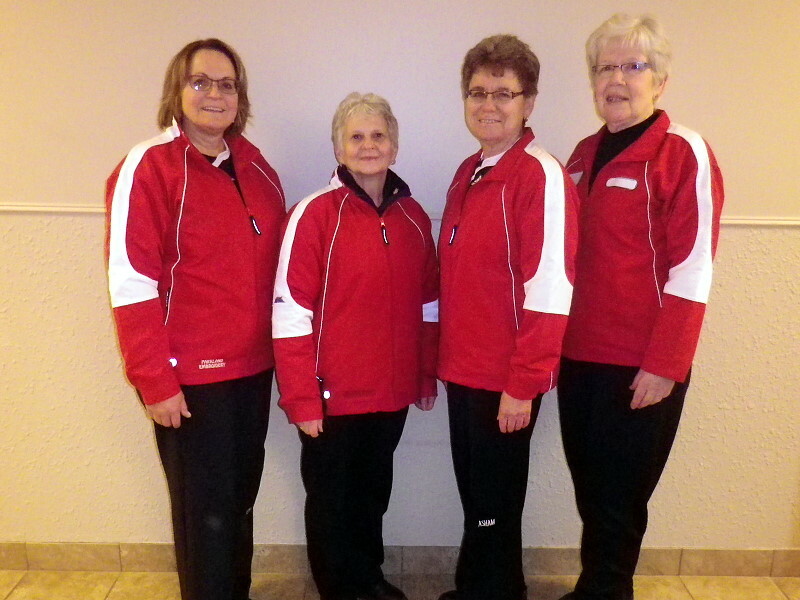 Four teams entered the Golden Gals District #2 playdowns Dec 5 & 6, 2014. Norma Johnson (Dauphin/Swan River), Gail Tycholiz (Dauphin), Jean Geisel (Dauphin/Swan River) and Joyce Trevellyan )Swan River). A double knockout format was used. A side winner (pictured above) was Norma Johnson, Bev Murray, Pearl Maksymetz and Lois Rozak. 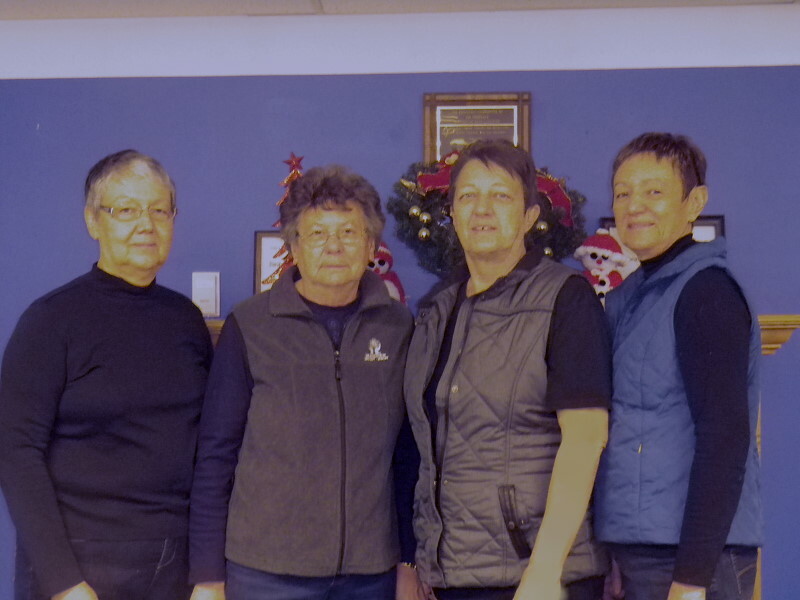 B side winner (right) was Joyce Trevellyan, Betty Kotyk, Linda Kindrat and Emily Gillies. Both teams qualify for Provincials March 9th-12th, 2015 in Rivers, MB. 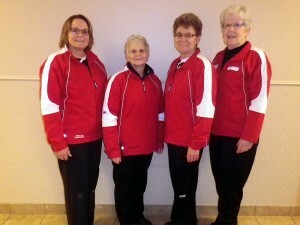 The ladies enjoyed a weekend of good curling and fellowship. A big thank you to the fans who came out to cheer us on.